In my view, Jerry Taylor is one of the smartest thinkers on U.S. climate and energy policy. I encourage you to read his recent report, published by the Niskanen Center, making the conservative case for a carbon tax. I recently spoke with Jerry to better understand his point of view and to discuss how to make his proposal a reality. Mark Tercek: Why should libertarians and conservatives support a carbon tax? How would you summarize the main takeaways of your argument? Jerry Taylor: Three reasons. First, it is a less expensive, more efficient and more effective policy than the status quo: EPA regulation via the Clean Air Act and a host of green energy subsidies and mandates. And there is no plausible political scenario in which those regulations and subsidies can be rolled back by raw conservative political force. Second, greenhouse gas emissions impose risk. Those risks have a cost, and incorporating those costs into market prices is the best means by which we can address the risks posed by climate change. Third, it is the principled conservative position. Government's role is to protect the rights to life, liberty, property and the pursuit of happiness. If party A is harming the person or property of party B, it is the government's job to enjoin those rights violations or to somehow make the harmed party whole. There is no asterisk in conservative or libertarian ideological doctrines that says, "unless energy companies are the parties responsible." Or at least, there shouldn't be. Tercek: Historically, conservatives and libertarians supported cap-and-trade for air pollution. So why do they now attack that approach for carbon emissions? Taylor: Some conservatives supported cap-and-trade for sulfur dioxide emissions in the 1990 Clean Air Act. Few libertarians did. The resistance on the right 25 years ago ought to sound familiar. Acid rain, they said, was at best a marginal problem and primarily due to natural phenomena. That opposition was not crippling, however, because a popular Republican president supported cap-and-trade, and this was enough to move the balance of the GOP. Were a Republican president in 2017 to do the same with a carbon tax, I'm fairly certain the story would repeat itself. Tercek: There's a lot of noise out there about the science of climate change, although from our perspective, the science -- in most respects -- is settled. How do you characterize climate science to folks who are unsure? Taylor: The interesting thing to me is that the scientists offered up by the "skeptics" to justify their skepticism about mainstream climate science almost without exception accept the mainstream scientific narrative: Global warming is happening; it is, to a significant extent, driven by anthropogenic greenhouse gas emissions; and there is uncertainty about how great the warming will be and what it might entail. Yet the conservative "street" largely clings to a totally denialist view on these matters. In part, I try to point out that their own scientific champions disagree with them. Most conservatives who oppose greenhouse gas emission constraints also emphasize the many shortcomings of the climate models to justify their position. While it's no secret that those models are imperfect given how much is unknown about climate science, I try to point out that the underlying data regarding the relationship between greenhouse gas concentrations and temperature is rather compelling. Tercek: The Nature Conservancy seeks to build centrist support for smart energy and climate policy. What advice do you have for us? Taylor: The academic literature regarding public opinion is fairly clear. People follow elite opinion, so winning over elites is the best way to win over the public at large. Elites, however -- like everyone else -- are captive to motivated cognition. People generally believe what they want to believe. Hence, it's important to frame your arguments in a manner that does not challenge the ideological or political priors of your audience. Of course, that's easier said than done! Tercek: How have your friends from the right wing reacted to your paper? Taylor: Well, those who already agree with me are, happily but perhaps unsurprisingly, thrilled with the paper. Reactions from opponents have been mixed. Some agree that the proposal laid out in my paper would clearly constitute an improvement in public policy. They fear, however, that environmentally minded Democrats would never seriously entertain a revenue-neutral tax-for-regulation swap, so there is no point in putting time or energy into the matter. Others completely ignore any discussion of the merits -- or lack thereof -- of the policy trade, echo the "greens would never buy it" argument and fear that, were such a policy change adopted, the tax would spiral out of control, the offsetting tax cuts would be repealed and the regulations would return. And some are so wedded to the idea that climate change is a hoax or, at best, a minor problem that there is no room for any conversation about what public policy ought to look like. That said, the arguments laid out in my paper are fairly novel to many people on the right, so initial reactions may not predict final positions. Tercek: What about the left wing? Taylor: Happily, I have heard near-universal agreement. A few major environmental actors, however, have political fears that mirror those held by opponents on the right. Tercek: What's the likelihood of libertarians and conservatives rallying around your arguments and supporting a carbon tax? What needs to happen to raise those odds? Taylor: To a large extent, that has already happened. In Washington, D.C., Kevin Hassett and Aparna Mathur at the American Enterprise Institute, Julian Morris and Ronald Bailey at the Reason Foundation; Steve Moore at the Heritage Foundation, Tyler Cowen at the Mercatus Center, Douglas Holtz-Eakin at the American Action Forum, Reihan Salam of The National Review and syndicated columnists Charles Krauthammer, Robert Samuelson and Andrew Sullivan are among the prominent conservatives and libertarians who have come out for a carbon tax. Right-of-center academic economists such as John Cochrane and Richard Posner at the University of Chicago, Martin Feldstein and Greg Mankiw at Harvard University, former Federal Reserve chairman Alan Greenspan, Glenn Hubbard at Columbia University and George Shultz at the Hoover Institution are also in our camp. Other conservative and libertarian thought-leaders who support the idea include supply-side economics guru Art Laffer, John Tierney of the New York Times, Irwin Stelzer at the Hudson Institute, Jonathan Adler at Case Western Reserve University School of Law (the former director of the environmental policy shop at the Competitive Enterprise Institute) and Clive Crook of Bloomberg View (formerly of the Atlantic Monthly). Opinion surveys reveal that an actual majority of libertarians and conservatives in this country likewise agree that government should regulate greenhouse gas emissions. Those two communities are certainly more inclined to embrace market-oriented regulation than the alternative. Opposition to the idea is concentrated among D.C. conservatives who labor in fiscal policy (where any discussion of tax increases are anathema) and energy policy (where militant denialism regarding the science is the rule), as well as among grassroots conservative organizations. They will likely not be receptive to my arguments until they are disabused of the notion that the courts will save them from EPA regulation. Once conservatives are forced to either, 1) Adopt a position of permanent complaint with no hope of political success, or 2) Offer something that is politically viable that might address some of their complaints, there's a good chance for a serious hearing. Tercek: How could special-interest politics affect carbon pricing policy design and effectiveness? Taylor: A whole host of ways! If the tax were imposed downstream, exemptions for politically popular consumers would be more likely. Taxes might be imposed after some threshold of emissions was crossed, effectively grandfathering in some degree of fossil fuel use. Taxes might be waived for corporate entities and exporters. Credits might be provided for sequestration to agricultural interests that might easily be gamed. The Waxman-Markey cap-and-trade bill was rife with such special-interest favoritism, and reformers need to remember that every exemption and favor comes at a price: Either higher GhG emissions than might otherwise have been the case, or a higher carbon tax than might otherwise have been the case. Tercek: What are some of the policy design issues related to carbon pricing? How would you address them? Taylor: While there are a plethora of policy design issues that must be wrestled with, there are six that strike me as most important. First: What to do with the revenues? I would prefer using them to, 1) Indemnify the bottom quintile of wage earners so that their net tax payments, in aggregate, do not increase as a consequence of the tax, 2) Provide some sort of job training or early retirement options for coal miners, and 3) Use the remainder to cut corporate income tax rates. There are reasonable alternative uses of those revenues, however, and the debate will be hotly political. I suspect that the revenues will be used primarily to buy votes, so the preferences of policy analysts will have little weight. Second: How to deal with energy-intensive trade? The simplest and cleanest answer, administratively speaking, is to ignore the issue: Tax U.S. greenhouse gas (GhG) emissions, and let the competitive chips fall where they may (chips that, for all but a few industries, will have only a modest impact). A theoretically better answer is to tax not GhG emissions but GhG consumption, which implies imposing U.S. equivalent carbon taxes on imported goods and providing rebates to manufacturers of energy-intensive U.S exports. This would be my preference because it captures the most emissions, but the political and administrative issues are difficult. One reduces, perhaps, the opposition that might be met from domestic manufacturers subject to foreign competition, but one also provokes opposition from free-trade proponents who worry that it would put into question U.S. compliance with international trade rules established by the World Trade Organization. Third: How wide should we cast the carbon pricing net? My preference is to cast it as wide as possible, which means taxing carbon dioxide from all fossil fuels (81 percent of U.S. GhG emissions), methane from natural gas systems, landfills and coal mining (about 6 percent of U.S. GhG emissions) and industrial emissions over and above energy inputs (about 3 percent of U.S. GhG emissions). This would require that, when possible, taxes be imposed upstream in the production process with no exemptions. The wider the net and the fewer the exemptions, the lower that tax needs to be to meet stipulated emission goals. Fourth: To what extent should we allow for sequestration credits? We would obviously want to allow them for carbon capture from coal-fired power plants if and when that technology ever becomes economic. Providing credits for land sinks, while theoretically worthwhile, is so analytically and administratively difficult that we should likely not bother. Fifth: A particularly sticky issue -- how to deal with existing EPA regulatory authority? A carbon tax is unlikely to get any Republican support unless EPA regulatory authority over GhGs is eliminated as part of the deal. Should that authority be suspended and allowed to return to life if some stipulated emissions target is exceeded, or should it be repealed come what may? My preference is repeal. Anything short of that would be hard to sell to the right. Sixth: The biggest issue -- how high to set the initial tax? If it's set high enough, the above issue is moot. My preference is for a tax that reflects the real social cost of carbon plus the sum required to account for low-probability, high-impact catastrophic events that, unfortunately, are not fully included in such calculations. All that being said, politics is the art of the possible. The most important thing is to put a price on carbon that produces more emissions reduction than the status quo while eliminating inefficient and counterproductive policy alternatives. Tercek: Climate change is a global problem, and a U.S. carbon tax can't solve everything. So how does a carbon tax go global? How can we bring developing nations into a global carbon tax over time? Taylor: If the United States were to unilaterally impose a carbon tax and apply that tax to the GhGs embedded in imported goods as if they were produced domestically, a large part of global production would be captured by carbon taxes collected by the U.S. Treasury. Foreign nations exporting goods to the U.S. economy would thus have a choice: stand pat and let the U.S. capture carbon tax revenue from their own domestic production, or impose equivalent taxes and send those same revenues to domestic treasuries. The incentive to impose carbon taxes is clear. A global agreement to codify carbon taxation would be easier to achieve under those circumstances and far less subject to scrums about appropriate baseline emissions levels. All governments need revenue. Getting that revenue from GhG emissions is no worse -- and arguably better -- than getting that revenue directly from wealth creation or labor. Were the United States to lead on that front, it's more likely that other governments would follow than would be the case were the United States to continue on its current regulatory path. Tercek: What authors and leaders do you pay close attention to? How about in the environmental sphere? Taylor: I pay attention to anyone with expertise and knowledge, regardless of ideology, who has something interesting to say, so that covers a lot of ground. In the climate change arena, economists such as Richard Tol, Bill Nordhaus, Martin Weitzman and Robert Pindyck are always on my radar screen. Paying attention to the scientific literature, however, is a better means of keeping up with what's going on than following individual scientists. Here in Washington, policy analysts such as James Handley at the Carbon Tax Center, Adele Morris at the Brookings Institution, Kevin Hassett at the American Enterprise Institute, Ronald Bailey at Reason and consultants David Bookbinder and David Bailey are always on my radar screen. Jerry Taylor is the president of the Niskanen Center. 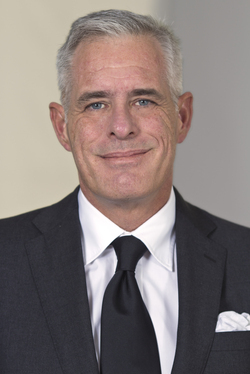 Prior to founding the Center in 2014, Mr. Taylor spent 23 years at the Cato Institute, where he served as director of natural resource studies, assistant editor of Regulation magazine, senior fellow and then vice president. Before that, Mr. Taylor was the staff director for the energy and environment task force at the American Legislative Exchange Council (ALEC). Over the past two decades, Mr. Taylor has been one of the prominent and influential libertarian voices in energy policy in Washington. He is the author of numerous policy studies, has testified often before Congress and his commentary has appeared in The Washington Post, New York Times, Wall Street Journal and other prominent print and electronic outlets. 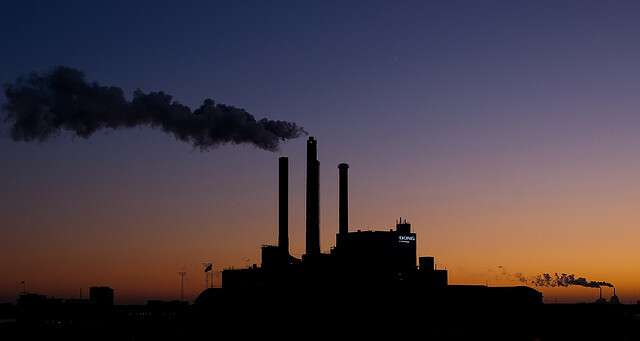 Images (top to bottom): Power station at dusk, © Flickr Creative Commons user Aske Holst; Jerry Taylor, © Niskanen Center.